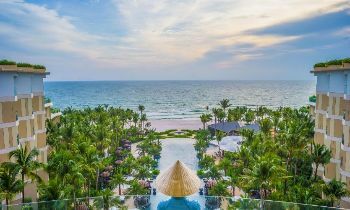 Phu Quoc is considered a precious pearl in the offshore of Vietnam, the beauty of this island is praised as a miniature Maldives of Vietnam tourism. 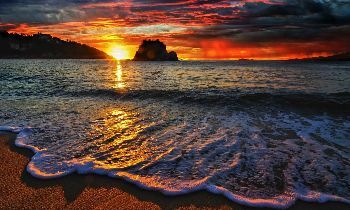 This is an ideal destination for those who love the tropical sunny beaches, pristine forests, mountains, and streams. 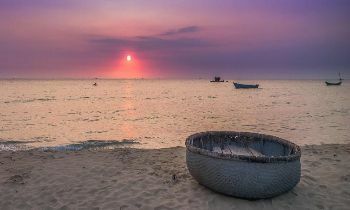 One of the beautiful sites in Phu Quoc that must mention visiting for tourists is Da Ban stream. Let’s explore why Da Ban stream becomes very attractive in tourist’s eyes. The name of Da Ban stream has original from the terrain of this stream. In the Vietnamese language, this name implies the large and flat stones here are like the stables so people can sit for resting. 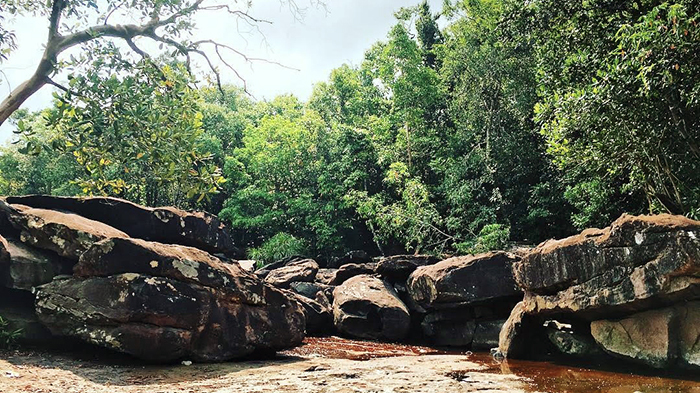 According to the legend, these stones are where the fairies usually sit after bathing in the stream. 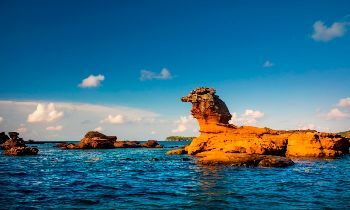 Phu Quoc is famous for 99 mountains extending from north to south, whereas, Ham Ninh mountain range is the longest and highest mountain on the island. Da Ban stream also has taken the water source from this mountain. The stream flows along the mountain and ends at Duong Dong lake, this is the main source of water for Duong Dong lake. 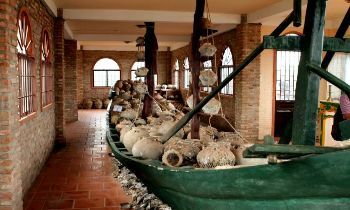 At present, the water in Duong Dong lake provides drinking water for the entire Duong Dong town. Basically, this stream is a beautiful place that the whole families go outside for picnics. Due to the fact, Da Ban stream is sometimes trashy, especially during the holidays. 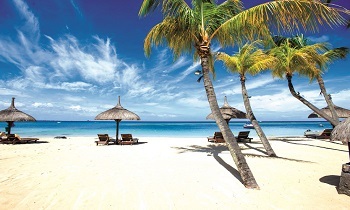 Yet, the area offers amazing swimming spots with clear and refreshing water. To reach to the final waterfall, it takes about 45-minute hiking, but it is worth to try. 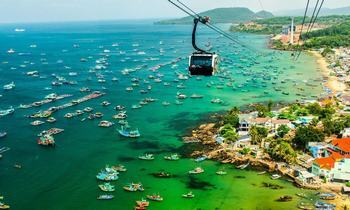 Departing from Duong Dong town, go up the north of Phu Quoc island and follow the path leading to Da Ban stream. Tourists must stop in front of the car park gate here and take the cable-stayed bridge or the bridge where there are two bridges crossing the stream to enter the forest. Then, continuing to walk about 15 minutes, you will see out the stream. Therefore, before exploring the beauty of the stream, you should listen carefully to the guidance of the navigator. 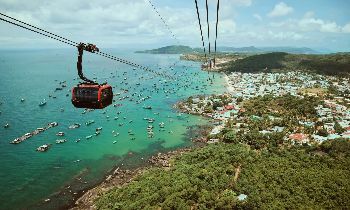 Da Ban stream is located in the northeast of Duong Dong town which is near to many famous tourist places on the island such as Dinh Cau temple, Dinh Cau night market, Da Ngon stream, Vinpearland, and the pristine forest. 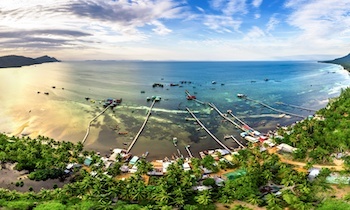 Departing from Duong Dong town, you go up the north of Phu Quoc island and follow the path leading to the Da Ban stream. Tourists must stop in front of the car park gate here and take the cable-stayed bridge or the bridge where there are two bridges crossing the stream to enter the forest. It takes you about 15 minutes walk to the stream. 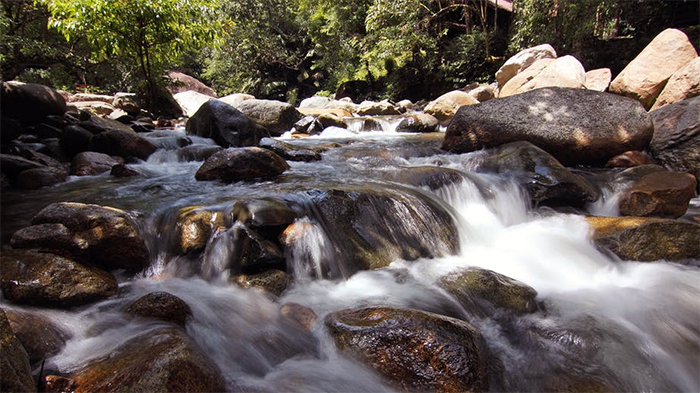 Therefore, before exploring along the stream, you should be prepared for good physical health. 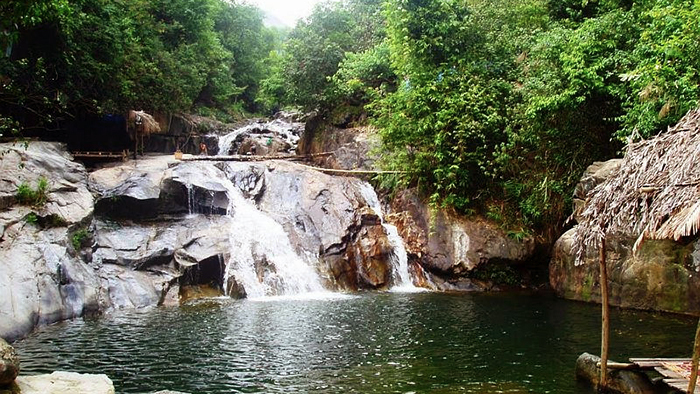 The trail to lead to Da Ban stream is not too far and rugged, so tourists can easily go trekking from Duong Dong town. The altitude of Da Ban stream is not high, the inclination of the stream stretches endlessly from the foot to the top of Ham Ninh mountain. That is the reason why tourists can go to the stream without being tired and digesting too much energy. 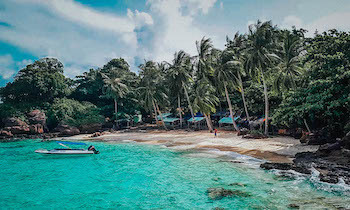 Because this stream is not a popular tourist site in Phu Quoc, the number of tourists coming here is not crowded, the Da Ban stream still keeps its original beauty with the cool fresh water and primitive forest surround. The deeper you go up the root of the stream, the more spacious Da Ban stream's space opens in front of your eyes which is very beautiful in a strange way. 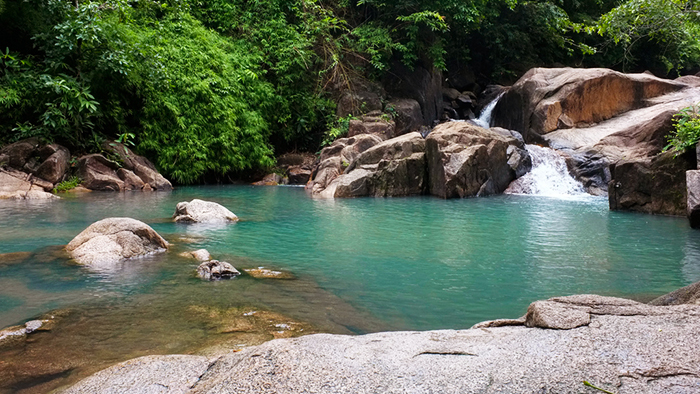 There are small waterfalls, natural ponds along the stream with moderate depths and the healthy fresh water which is gradually a cool bathing place to cool down after a long trekking time. Coming to Da Ban stream where you can sit on the large flat stones is very suitable for visitors to camping, food, drink. You can bathe in the cool blue water and play with the crashing water. Coming to Da Ban stream in the rainy season, you must be very careful not to slip because the water here is very deep and very strong. If tourists want to see the highest waterfall here, you must pay careful attention. 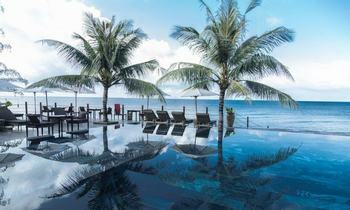 It is such a regrettable thing if you don’t visit Da Ban stream in your Phu Quoc trip because you will miss many spectacular natural views and exciting experience here. If you want to know more information about Da Ban stream, please come to us. Have a good trip and thank you!